Uplift Lives: How to track the fruads in a small / medium company? How to track the fruads in a small / medium company? What is the main challenge a small or medium business faces these days? Could it be competition? Could it be loosing customers? Could it be employee frustration, or could it be the downfall of profits? I've met quite a lot of small to medium businessmen in Sri Lanka. They actually knew how to handle the core of the business and earn revenue. But their biggest challenge was to cope up with the fraudsters and frauds. It wasn't easy. They came up with all forms of phases and faces. They exists everywhere. What are the ways of tracking those and protecting businesses from frauds? of course there are many frauds such as tax evasion which is known to the owners of the companies. But my article is more in to the frauds which owners have no idea of. I'm trying my best not to write how to steal money, as it could have been the information in wrong hands. But I will only tell you in what circumstances people can steal money from your business without you knowing anything about it. Because it is always better to know how the theft can take place, then you know how it can be prevented. This often happens in many companies where the owner has very little knowledge about handling the financials of the business. Then it is very easy for the employees to take cash straight away from the cash register or from the bank. Not much strategic thinking required. It is mainly when you do not have proper financial records and do not audit those properly in time. When the employees knows that the owner can be easily cheated or the owner will never find it out, that alone is a motive to cheat for any dishonest man. Starting from small things like stationary to big things like vehicles, people uses for private advantage. This is a very common type of a fraud. It is surprising that some employees don't even know that it is theft. Some people just take things home even if they have no use of it at all. But this could make a company bankrupt when happening in big scale. Specially it is not bearable for a small company. In companies such as restaurants, hardware shops, construction companies etc , there are lots of stocks and employees are workers/ laborers rather than professionals. It is very hard to manage these types of businesses in Sri Lanka unless the owner is a thug him self. I don't say professionals don't steel. But compared to a professional, a laymen has nothing to loose. I know a company where the owner use to send some company stocks to his mistress. He did not recorded these in the financial statements. Funny part is, his manager also followed him as if its his business. This is a bit advanced form of stealing than the previous two. But I will tell you, these can be done even by people who have no financial know how. If there is a will, there is a way. Most common types of frauds in this category is recording false expense claims, manipulating sales figures (record less sales and take away money), prepare fake supplier invoices and obtain company funds saying payments to suppliers, Fictitious invoicing and there are many ways to play around with accounts. You tell your manager to sell a company owned land. He sells it to a relation at a price much less than the market price. Or you need to purchase some raw materials. Your purchasing officer order it from a supplier who quote a very high price, because the purchasing officer gets a big commission from the supplier. Those are just two instances where transactions without supervision can be disastrous to the company. How to track and prevent the frauds in a small to medium sized company? I'm more elaborating on this part as this is what is important. No other way. If your business is in Sri Lanka and if you do not get involve, I would guarantee , people will steal. If you cannot really involve, at least pretend you do. Make the people feel your presence. Talk with people. Be good with people. Give them a chance to open up with you. Then you will get the information. You will get all sorts of right and wrong information. You should be intelligent and experienced enough to filter those and get the facts out of it and act upon those vigilantly. Check the financial records of the company, even if you do not understand head or tail about those. Most entrepreneurs do have a gut feeling on finance than the technical knowledge and proper use of the gut feeling in the right place, would do. You do not have to be a big accountant to save your money. If you know how to write in a book all your purchases and how to issue a receipt to all payments (having at least a carbon copy for you) and then match the cash you have with those two books, that basically would balance the accounts in the very basic level. But it is a wise decision to recruit a good accountant as accounts means a lot more to above and have an annual audit. It is very difficult to steal when you have a good system of internal controls and book keeping. If you wonder what the heck is internal controls, for example say you have a business of selling electrical products and , you establish a rule saying that no stocks can go in or out of stores without recording it on its stock card. Then at any given time all stock cards should represent the actual stocks in the stores and the store keeper should be responsible for any missing lots. You can take monthly or quarterly stock takes with the help of an auditor. Yes you cannot trust anyone these days, but you have to pick the best one. This is very hard to do for lower level jobs, but for at least executive jobs, check people's back ground. When I say back ground, I don't mean to check whether his farther is a farmer or a trader, but the things which matter. 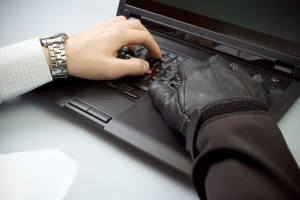 If he is someone who stolen money from your competitor, there's a high chance he will do the same to you as well. If his father is some one who is famous for taking big loans from people and not returning those, child too can be a thief. I have to say that there are people who beat the jeans to overcome the mistakes of their families and become very good people. But chances are very rare. In one of the companies I know, they secretly took the police reports of the people they recruited to process the credit cards. Remember, this is a make or break decision. Your employees will decide the future of your company. Recruit right people and make sure you retain them happily. They will run the company and bring you profits. If I join a company, company culture would be something I would definitely look for even more than the salary. If that is a company which has a culture where there's no moral values, no respect for people, not appreciate work life balance, not promoting employee career development, then its not a happy place to work. Money is not all people appreciate. Only a lower factor of the society works happily just for money. Rest of the people like to have a life. Have strong rules / policies / guide lines on matters and act upon them fast and visibly. If you want your people to follow something, first you do it and then encourage them to do it. Setting an example is very important. You have to be a honest and transparent man to be respected. If you are preparing two or three different sets of accounts sets to present to different parties, then you are a cheater. You cannot expect your accountant will not cheat you. But when people are working under a very clean boss, chances of a fraud takes place is less than usual. Just like in politics. Make sure you encourage people to take leave / vacation if it is possible. I know this is hard if your employee is a "koththu baas" (means a "koththu" chef sort of translation), its hard to send him on vacation. But that would be a fine chance for you to employ someone else in that area and pick any differences in stocks / profits or track any frauds. You cannot overlook everything on your own, unless the company is a really small one with less transactions, less employees and small amounts. Assign work to people properly. Some times when people are given a responsibility, they do work hard. But you have to make sure you rotate duties from time to time. Otherwise if the same person do one task for a long time, a fraud is someone's area could not be detected. Do not assign signatory powers to one person for significant amount of transactions. Keep close contacts with the banking officials. Then they will tell you if something fishy going on with your account. I mean I'm referring to business in Sri Lanka. Contacts with people plays a good role in business here than professionalism some times. In this country, people prefer to do things for friends than for customers you know :). Being nice and friendly with officials (specially when it comes to women who are always in a bad mood), always helped me to get the work done and get access to lots of important gossip around. These few tips should take you long enough before you grow in to a big business. Good luck. I ve grabbed some really important points fron your article. Nice work akki! !